He is asking $350 for it, and he paid $600. We spent two incredible days with the Baja Anglers team in late May and must say, the fishing and staff surpassed our expectations. 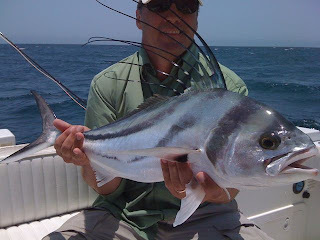 We had success throwing flies to crashing roosters on the Pacific side, trolling for striped marlin in the Sea of Cortez, and sight casting to sun-bathing fish that we came across on the troll. This is an amazing fishery, and with the help of the Baja Team, we hooked-up using a variety of methods - we're already planning our next trip! Hey guys this is dustin james and kylee just wanted to drop a note and let you know Thanks for the trip of a lifetime the service was very professional and fun here are a couple of pictures from the trip, james with pretty dang good rooster which was the focus of the trip and kylee with a couple of fun roosters in hand and Dustin trying to catch em on the fly. We are definately going to have to drop back down and try some beach fishing and also from the boat. 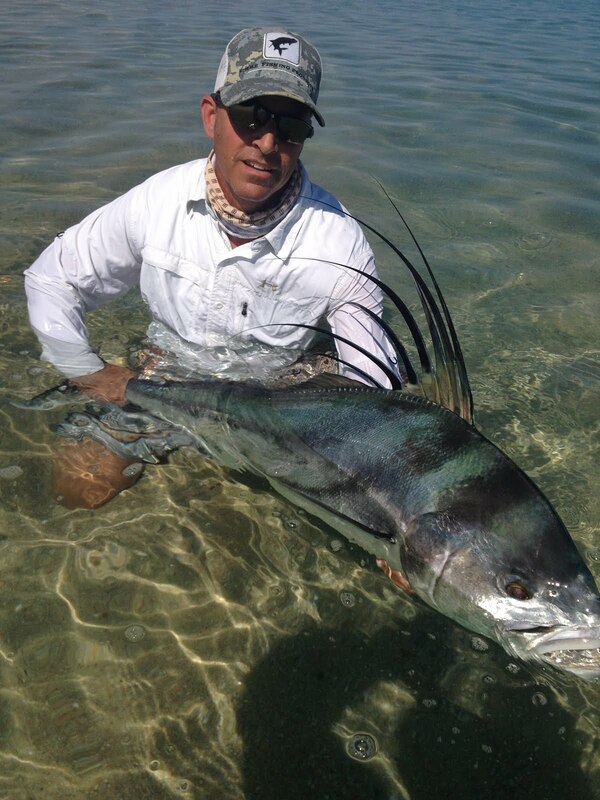 I would recommend baja anglers to any of my closest fishin buddies GREAT JOB GUYS THANKS AGAIN !!!!!!! Enjoy the rest of the season and see you soon. Crazy fishing, is it your lucky day? Some great days, so very slow days. 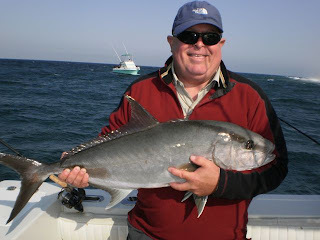 We are getting some very good inshore fishing for roosterfish, some real pigs up to 80# have been caught, and then we go out another day and we cant find a fish... Same goes for the marlin... 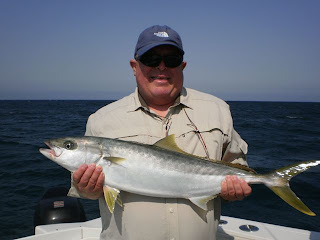 Some small tuna and dorado offshore, starting around 15 miles out up to 50 miles out. Some big snook, and snapper in the area, again, if its your lucky day, its your lucky day. When you live in the desert, you really appreciate a nice rain. Didn't last long, and it sure was refreshing. It's been over a year since it rained last. You can watch us on FISHING THE BAJA on your computer. Dave Maynard and I did this show last year. 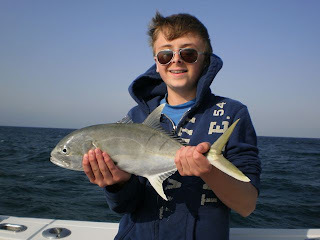 Lots of fun light tackle fishing for snappers.